I heard about J.G Melon and its burger over Instagram, there’s been nothing but hype around it so I went to check it out. I went in and ordered their cheeseburger with a pint of six points crisp and a side of fries, not a bad second breakfast. 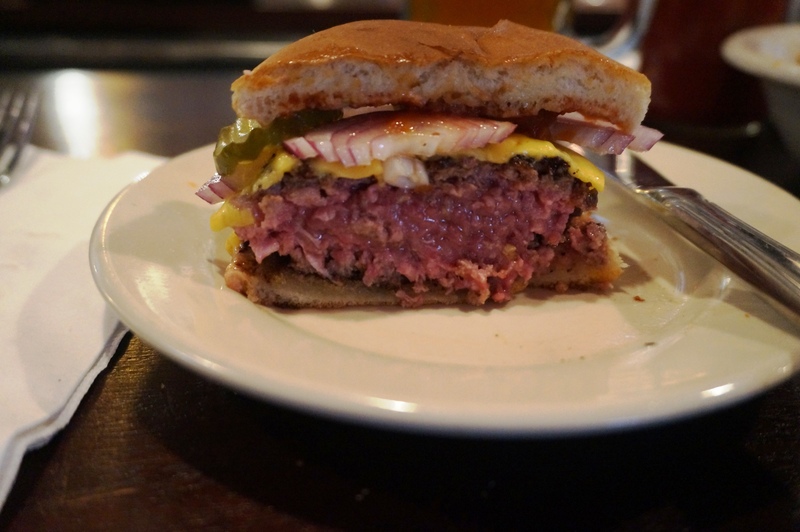 The burger came out pretty quick and looked great, I had ordered it medium to get a nice Patty bite but when I cut in it was definitely closer to rare. This wasn’t a huge problem, I mean less is better than more when it comes to cooking meat (this does not count for chicken). The burger was definitely above average, a well seasoned Patty with a great crusted char and perfectly melted cheese. That was served simply with ketchup, pickles and red onion, this thing was quality. 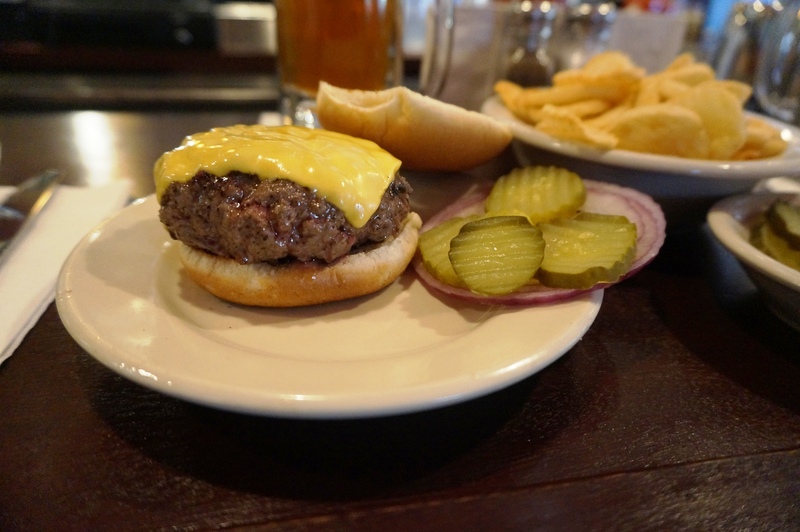 While certainly not the best in NYC it is undoubtedly a quality local burger that would keep you coming back. 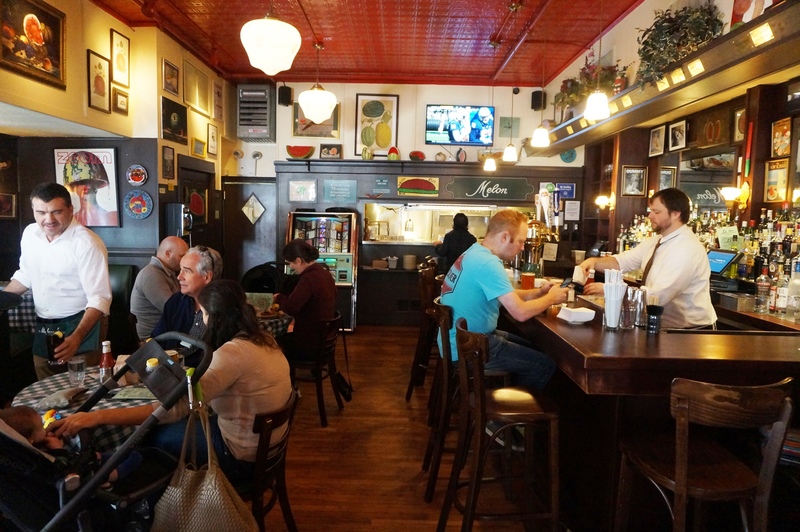 Posted on October 24, 2015 by AdrielPosted in Brunch n Lunch, New York, SteakLESS, United StatesTagged Burger, Great, New York City.